TAG has partnered with leading companies to benefit our entire Membership. TAG only selects Strategic Partners that are dedicated to providing Members with superior quality, service, and customer satisfaction. As a Member you have the unique opportunity to access a variety of products and services that drive profitability through recurring revenue, greater discount levels and dramatically increased rebates. These financial benefits are also known as your TAG Member Advantage because Members receive the best deal in the marketplace from these organizations versus the competition. Below is an ever growing list of organizations committed to the success of each and every Member. Anixter supplies Communications, Security, Electrical, Power Solutions and Electronic Wire and Cable. Solutions that Build, Connect, Power and Protect. CloudJumper provides the software and platform to deploy an RDS or VDI solution in Azure. Cloud Workspace® Management Suite (CWMS) is SaaS app that manages the technology layers. Add Cloud Workspace® to CWMS as optional services layer for Tier II+ support. Continuum provides a leading SaaS-based managed services platform that managed services providers (MSPs), voice VARs and data VARs use to efficiently monitor, backup, troubleshoot, and maintain desktops, servers and other endpoints for small- and medium-sized businesses. Pulsar360, Inc is a Hosted PBX Telecom Solutions Provider with roots going back to 2001. One end-to-end software solution to run your entire business. WatchGuard has deployed nearly a million of its integrated, multi-function threat management appliances worldwide, to businesses that range from SMEs to large distributed enterprises. Decision Digital is a comprehensive IT and business process consulting firm known for its extensive Tigerpaw Software expertise. 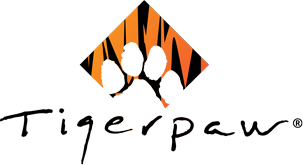 They offer thought leadership, collaborative teaching, process/workflow development, Hosted Tigerpaw, and TREK to a variety of Tigerpaw customers in various vertical markets. Eagle Eye Networks is #1 in cloud video surveillance worldwide, providing 100% cloud managed solutions on-premise recording, bank level security and encryption, and broad analog and digital camera support - all accessed via the web or mobile applications. ID Agent provides threat intelligence and identity monitoring for organizations through its flagship product Dark Web ID™, which analyses for compromised customer data and mitigates exposure to their digital identity. IT Glue is a SOC 2 compliant IT documentation platform that puts mission critical information at your fingertips, improving team efficiency and consistency. SherWeb equips partners for success by providing them with the tools and resources to focus on their business and accelerate their cloud growth. Webroot delivers Smarter Cybersecurity™ solutions for endpoint, mobile, and web to consumers, businesses, enterprises, and channel partners worldwide. HIPAATraining.com is the leader in helping organizations become HIPAA compliant which is a requirement for working with healthcare providers or in the healthcare industry. Since 1957, a service provider of personality assessments, background verification, drug screening, and Online Employment Centers. Sales Lead Generation, Online Lead Nurturing Software, Contacts, Email Marketing and Trigger Events. At Northwest Datacom, our mission is to provide our interconnect partners the ability to sell more managed services by lowering your customer's cost into the agreement. PhoneSuite provides both TDM and IP/SIP PBX exclusively to the hospitality industry, with over 4,000 systems installed. PhoneSuite is a strong #2 in the market and endorsed or approved by all USA hotel brands and chains. Stampede Presentation Products is a value added distributor of Video Conferencing, Audio Conferencing and Professional AudioVisual Products. CTT, CTP, and CCNA training and certification provider.